Nemo the red goldfish is back on his fins and feeling fine after surgery to remove a Nemo-size tumor, Yahoo! News reports. 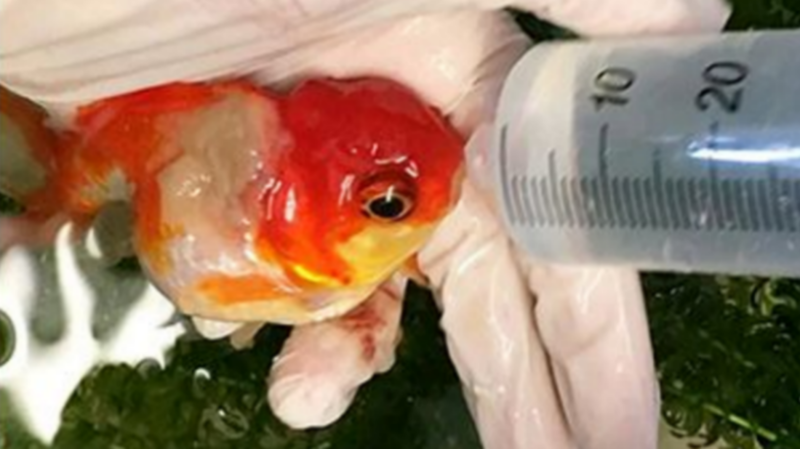 The five-year-old goldfish and his owner were turned away from their local veterinary hospital, which, like many clinics, was not equipped or willing to perform tiny fish surgery. The clinic referred them to the Highcroft Veterinary Group, some 200 miles away. But Nemo’s health and happiness was worth it to his owner, and together they made the trip. The operation took about 45 minutes, with Nemo sedated and out of the water. “It was difficult keeping him asleep and alive,” Miles admitted. “There was a hairy moment when his heart stopped.” But with careful, quick work, Miles and her nurse got Nemo’s heart up and running again, and finished the job.